Buying a home or refinancing your existing home can be exciting, challenging, and perhaps one of the biggest financial decisions you will make in your life. It’s important to have a knowledgeable and trustworthy mortgage professional to help guide you through the loan process. 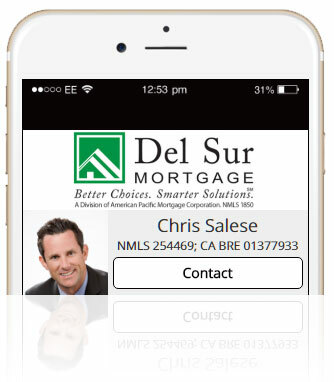 As Branch Manager of Del Sur Mortgage, a local retail mortgage bank, Chris has been helping clients with their financing needs for more than 16 years in the Napa Valley. With his experience, integrity, and ability to get the job done, he has earned the trust of his clients, their referrals and is a go-to lender for some of the area’s top Realtors. 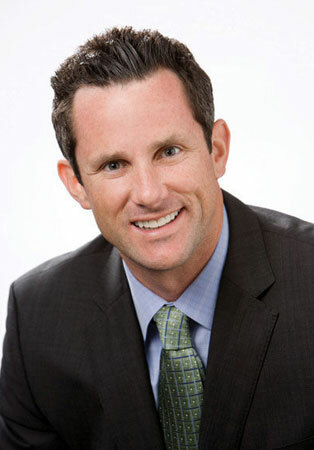 He is a graduate of the University of San Diego, a certified Freddie Mac Credit Smart Instructor and a huge Los Angeles Chargers football fan. Chris happily lives in the beautiful Napa Valley with his wife and four children. Supporting other local businesses and community involvement is very important to him too. He is the immediate Past-President for the local youth soccer organization, Napa United, and coaches both youth soccer as well as Napa Little League baseball teams. In addition, Chris writes a column for the local newspaper, titled Napa’s Loan Ranger, which is published every other Thursday in the Napa Valley Register.